NARA photo NWDNS-111-B-409. 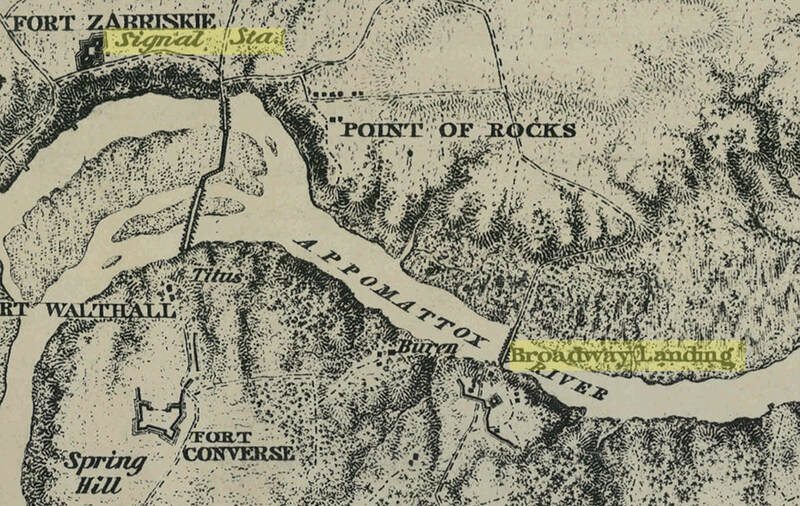 "Monitor Mahopec in the Appomattox River." Crow's Nest signal tower in the background. LC 02062. 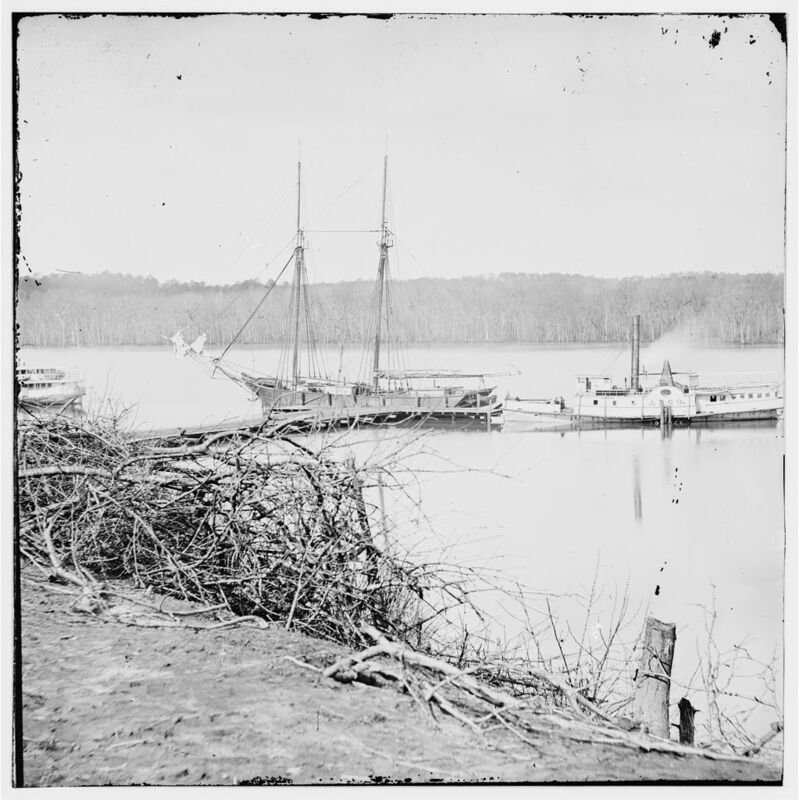 "[Broadway Landing, Va. Pontoon bridge across the Appomattox]," unattributed stereo view, looking north from the right bank. LC 01889. 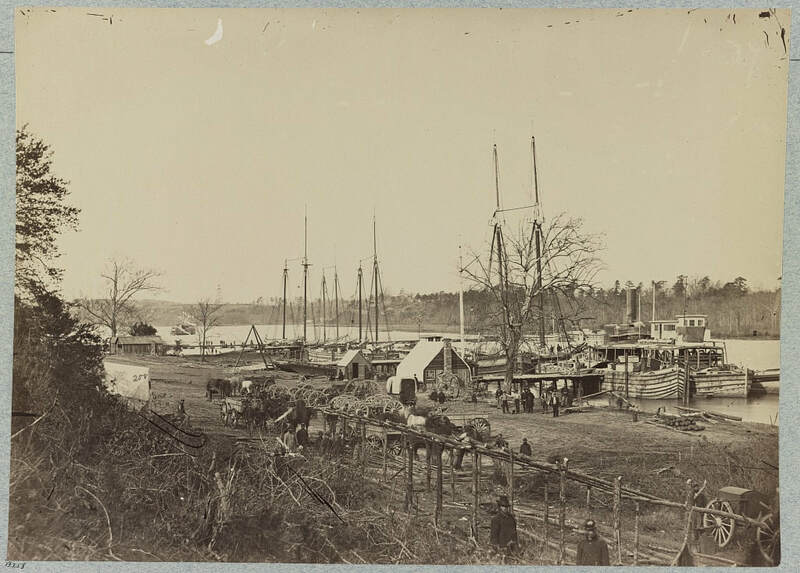 "Docks with transports [Broadway Landing, Appomattox River, Virginia]," unattributed stereo view. Pontoon bridge from the south bank. 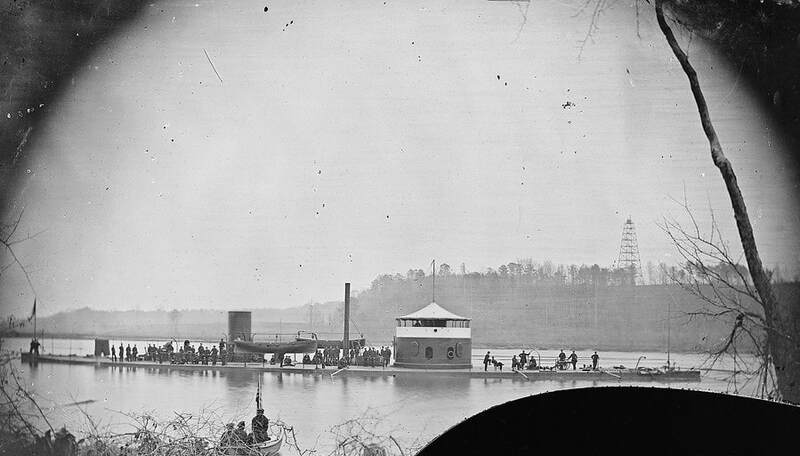 Signal tower on the bluff in the distance. LC 00696. 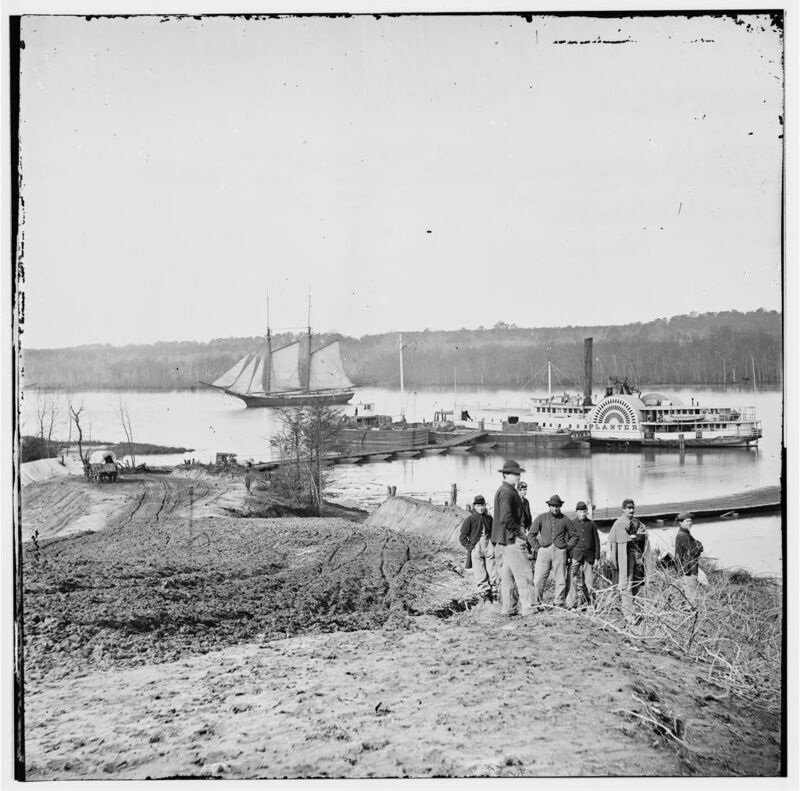 "Broadway Landing, Appomattox River, Virginia. 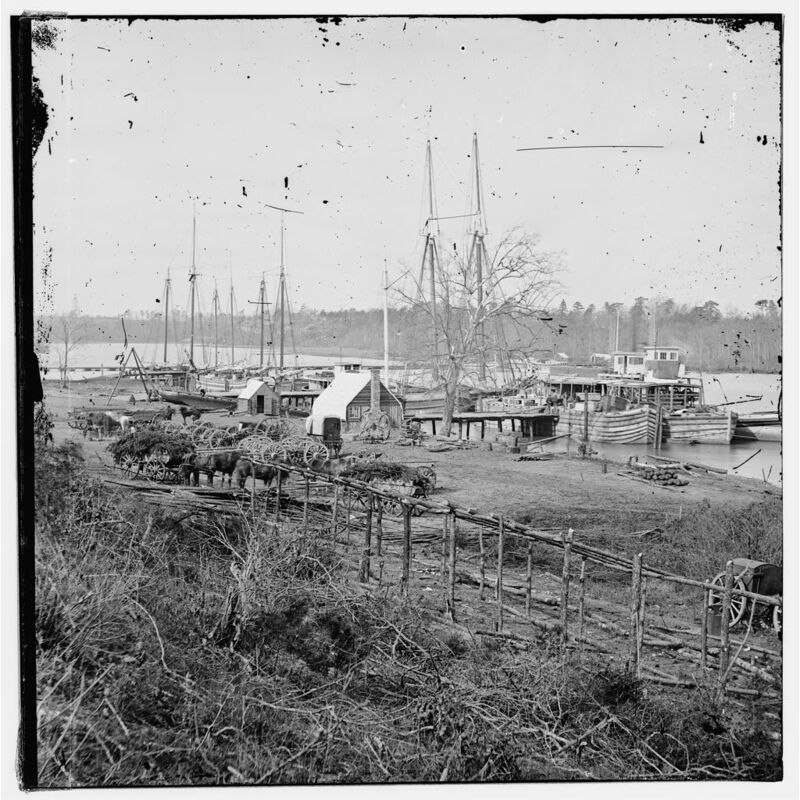 Supply boats and stores," photo by William Frank Browne. 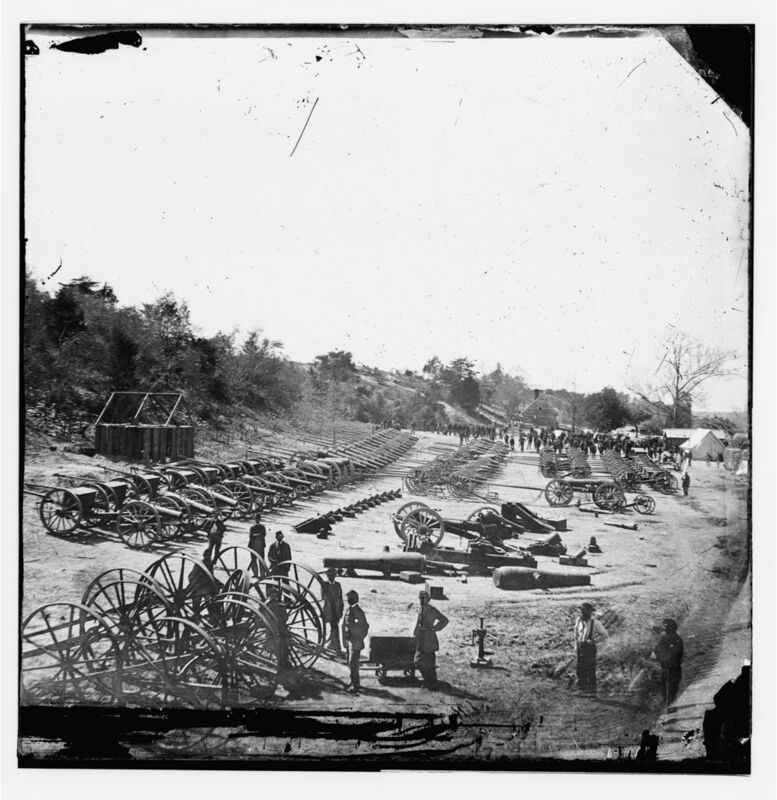 Moving an artillery tube in a sling. Four Photographs by John Reekie, medical supply boat "Planter"
LC 12593. 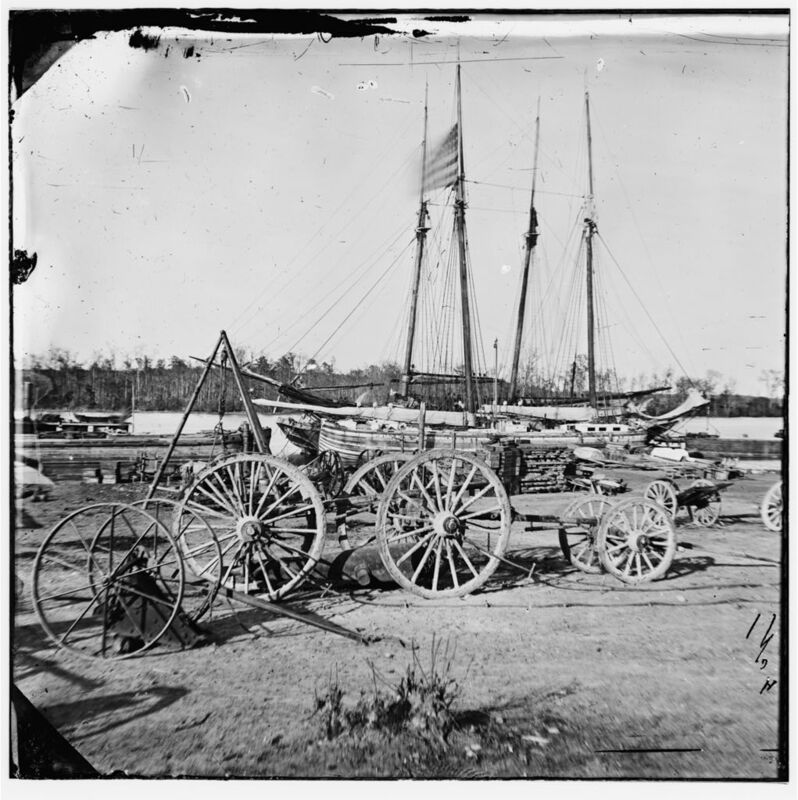 "Medical Supply Boat, Appomattox Landing, Virginia," photograph by John Reekie. 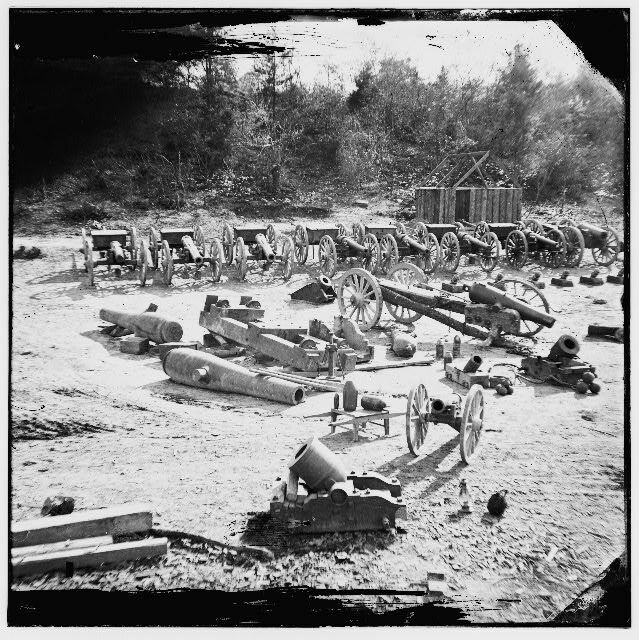 Gardner's Photographic Sketch Book of the War, v. 2, no. 72. Photo of the Hospital wharf, City Point. A succession of four photographs depicting the "Planter" by John Reekie. Identifiable by the one negative that Gardner included in his sketchbook and attributed. The images seem to have been taken maybe half an hour apart (camera movement and shadows). Other captions label this the Hospital Wharf, which makes sense. These four images capture a sense of the shipping activity at Broadway Landing. LC 00508. "Appomattox River, Virginia. Medical supply boat PLANTER." Unattributed stereograph. LC 02056. 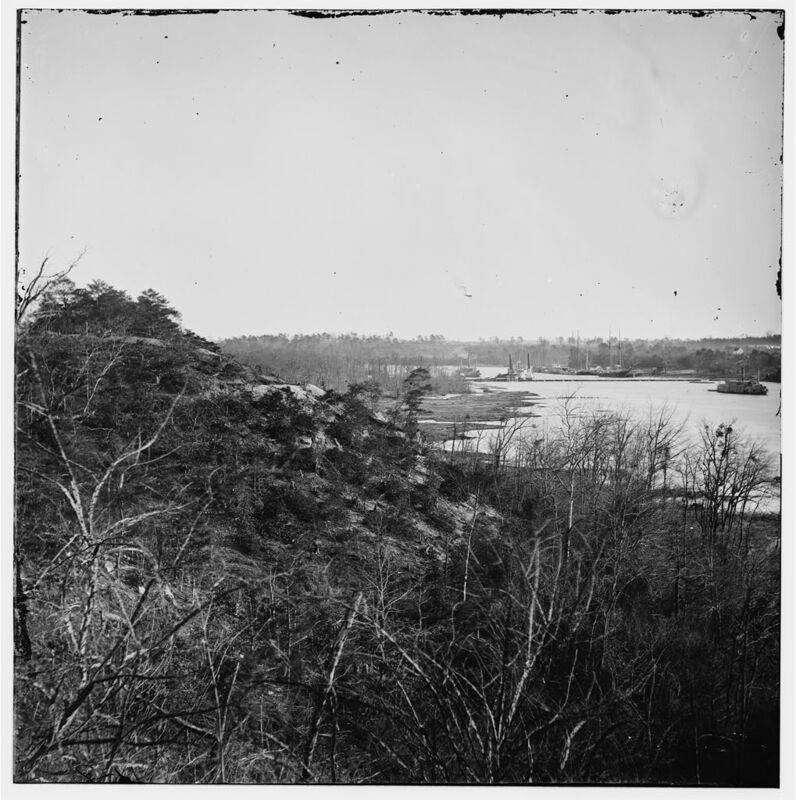 "[City Point, Va., vicinity. 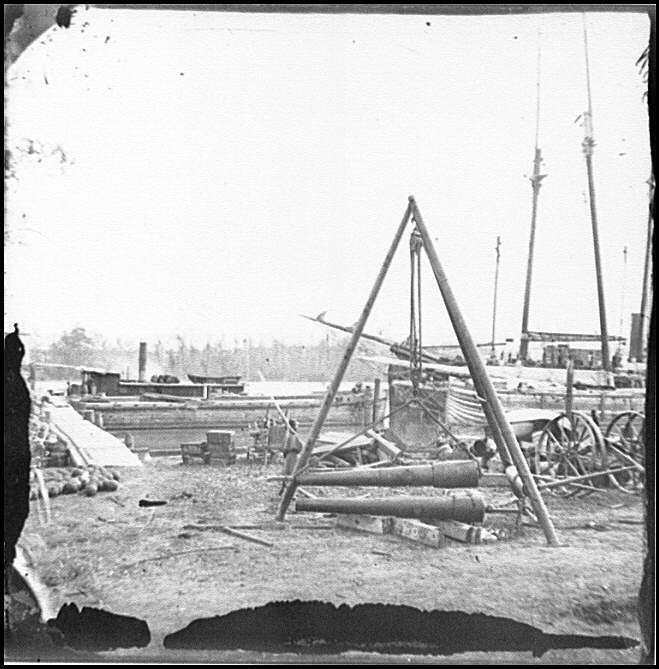 Medical supply boat Planter at General Hospital wharf on the Appomattox]," photographer unattributed, likely Reekie. Stern of the "Planter" from 02056. LC 02054. 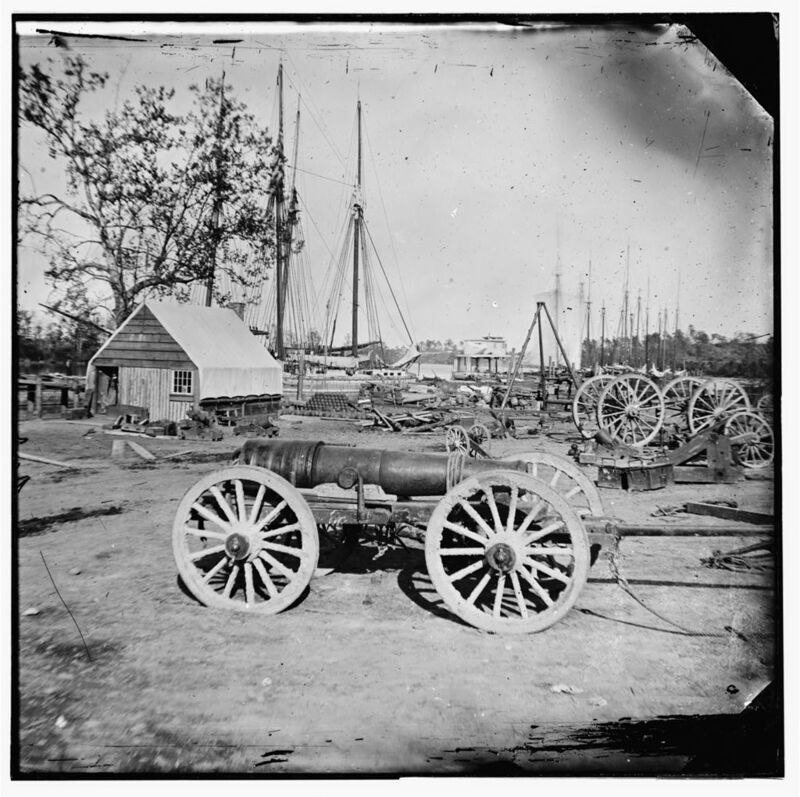 "City Point, Virginia (vicinity). 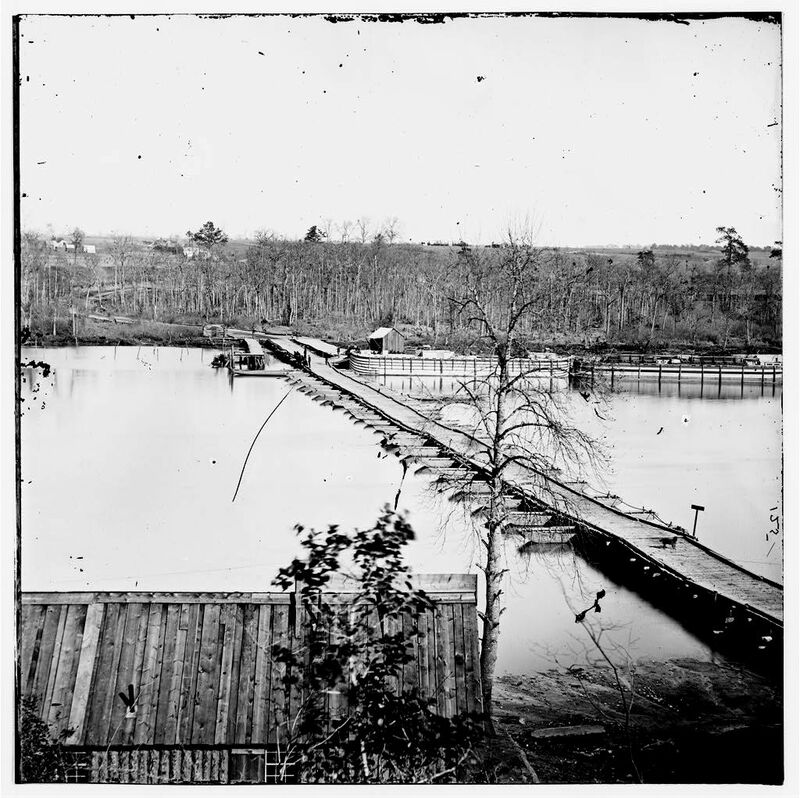 Hospital wharf on Appomattox," photographer unattributed. Stern of the "Planter visible on the left. LC 33267. Slightly broader view than the photograph above. 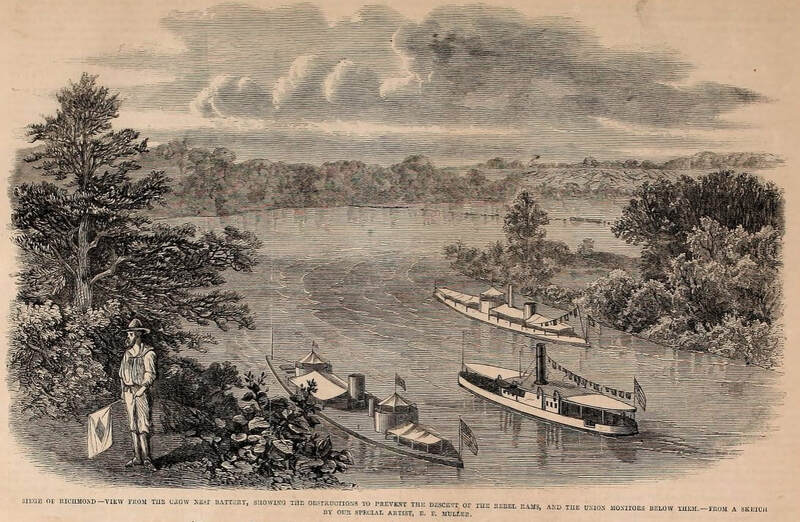 "View from the Crow Nest Battery," woodcut published in Frank Leslie's Illustrated, Sept. 24, 1864, from a sketch by E. F. Mullen.